Rodney Webb from AWEBBCO inspects a pool fence for compliance. The condition of the pool, fence and equipment was considered very poor. 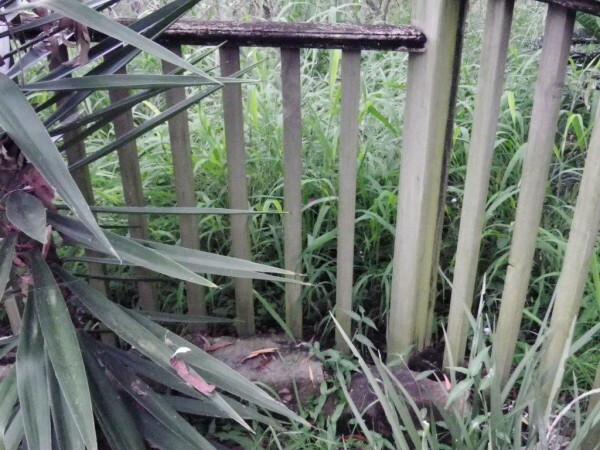 After more than 40 years in the Swimming Pool Industry and having inspected 1000s of pools, I have yet to find pool fencing in worse condition than the photographs depict. The defects and omissions are akin to not having any pool safety fencing at all. The pool fencing and pool gates would in fact create a minimum challenge to any child under the age of 5 years to access the swimming pool zone. 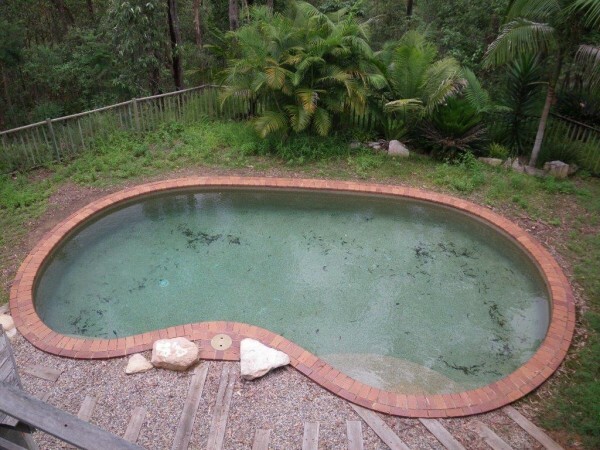 All the photographed defects and omissions are major safety issues and are likely to cost the owners several thousand dollars with the possibility of costing up to approximately half the value of the pool itself. The topography of the land exacerbates the problem as the block is extremely steep. The swimming pool fencing that needs to be installed to Queensland State Government Legislation involves boundary fencing, swimming pool isolation fencing and separation fencing from the upper living area of the home. The majority of swimming pool fencing contractors are likely to walk away from this type of job as it is simply too hard. Obtaining Legislative swimming pool fencing compliance is going to be very difficult for the property owners. Holidays Over – The question is – What about my pool fence?